This page shows GAT Test Schedule 2019, which provides an up-to-date schedule for the year of 2019 and will help you for GAT test registration and early preparation. GAT General Test is now conducted 6 times every year in Pakistan. 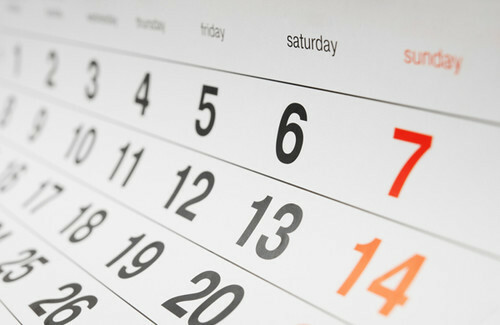 Before each test date, the schedule of the upcoming test is advertised at least 20 days before the test in local newspapers. Please do keep in mind that although NTS publicizes the GAT test schedules 2019, 20 days prior to GAT test date; it is on sole discretion of NTS to change the GAT test schedule 2019 at a later stage. Although rarely, it can happen in certain circumstances. You must start your GAT preparation at least 20 days prior to your GAT test schedule 2019. Moreover, more than 35 List of Universities require GAT General Test for Admissions in MS/Mphil programs. Also, you may like to read: How to Register for GAT General Test? Make sure you give yourself at least 2 months to prepare for the GAT general test. GAT is a difficult exam and you must strive hard to do well in it. Finally, After knowing your next GAT test schedule 2019 you must ready to prepare for this test. We have made 20-Days Study Plan for GAT to help students schedule their daily time to prepare for GAT exam. Because many of my students improved their scores by 20 points, so I decided to make things available online so everybody throughout Pakistan can clear the exam and get admission to their desired University and field of study. How to Register for GAT General Test? How hard is GAT General Test? How to Prepare for GAT General via Online?